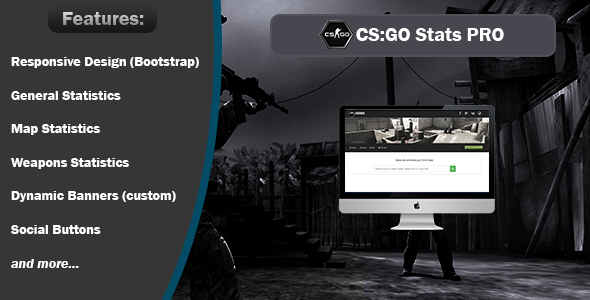 CSGO Stats PRO it was created to help CS:GO Players all over the world. You canâ€™t see your statistics in game. Thatâ€™s what i made possible ! This script shows your General Stats, Weapons and Maps Statistics and Dynamic Banners (customizable) with details about your performsance.